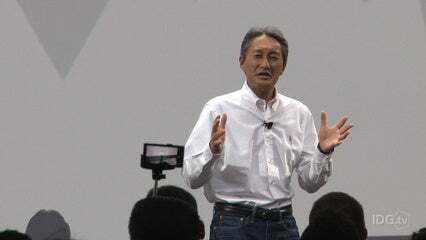 Sony began working on a home robot in April this year and first disclosed existence of the project in June this year. Since then, it's been quiet on what exactly is under development. Hirai first hinted the company might be about to unveil the robot, while speaking during a news conference at the IFA trade show in Berlin. "I actually have an update on this," he said. But he quickly shot those hopes down saying the update was that it isn't on the show floor at IFA. "I'm happy to report that we are working hard to create a robot for your home that is not only capable of assisting you with everyday needs but is really capable of forming an emotional connection with all of you," he said. 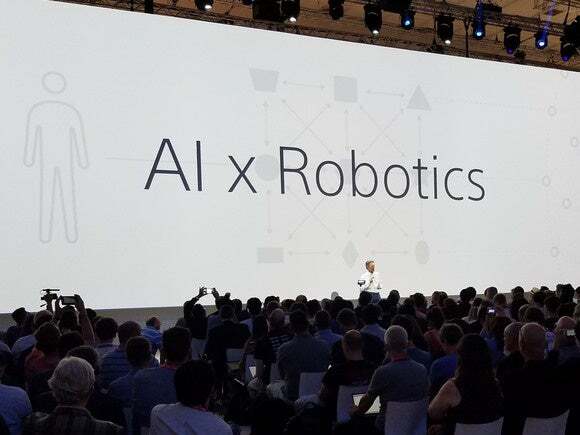 The robot will draw on Sony's engineering prowess in video and audio technology, sensors, mechatronics, artificial intelligence and communications, he said. "You definitely want to stay tuned." The robot will be the first from Sony since it discontinued its robot division during a previous restructuring. 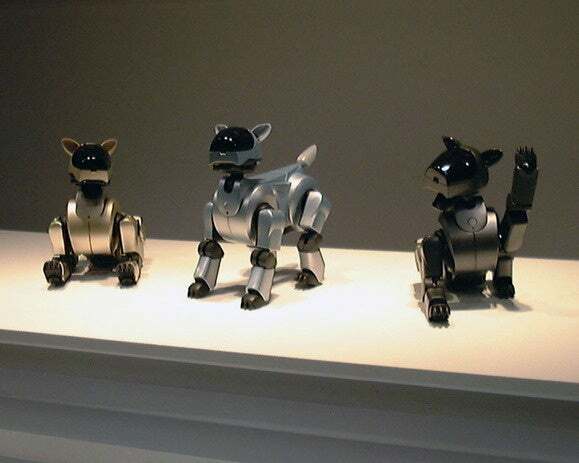 Sony had been an early pursuer of home robots with its Aibo robot dogs sold in the early 2000s. It also developed a humanoid robot called the Qrio that remained a prototype and never went on sale. Second generation Aibo entertainment robots lined up at a Tokyo press conference on October 12, 2000.